Today, in another first for the newsletter, my article sits as a stand alone piece ... and it can be found here ... On Thursday, January 10, 2019, the Ontario wine industry lost one of their own, and it was felt across the province as news of Michele Bosc (VP Marketing & Administration for Chateau des Charmes and wife of Paul Bosc Jr.) passed away. Words can not truly express the sorrow that I and many others felt at this loss; so as someone who had spent some time with Michele, both personally and professionally, I thought I would put into words what Michele meant to me, my wife and my wine life. The tribute can be found here. The rest of the e-blast follows below. 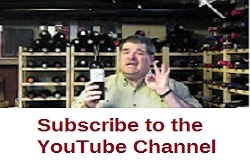 There are six Ontario reviews (plus an International review) below, there's the Side Bar on the left for the latest videos, podcasts and links to reviews of older wines, cellar dwellers, published articles, On the Road notes and more.